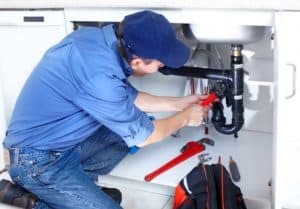 Reliable Plumbing & Heating Services has been providing expert sewer line repair and maintenance in Seaside, Santa Cruz and Monterey, CA since 1987. All plumbing repair comes with a 100% guarantee, and we pride ourselves on being friendly and dependable. Ask your friends and neighbor who they use and recommend for sewer cleaning, sewer line camera inspection or sewer repairs, and you’ll probably hear “Reliable Plumbing & Heating Services, of course.” But don’t take our word for it, we have great online customer reviews of our plumbing services – read about Reliable Plumbing & Heating Service on Google+, Yelp and Facebook. Your plumbing system depends on a properly functioning sewer line, and many costly sewer repairs can be prevented if you call us at the first sign of a problem. There are a number of things that can require a sewer line repair, including general wear and tear, blockages or clogs, root intrusion, or broken or crushed pipes. Give us a call if you notice frequent backups, a foul odor emanating from the drain or drains, and slow draining throughout your home. If you suspect sewer system damage, blockage, leaks or clogs, call Reliable Plumbing & Heating Services right away. We are available 24/7 for emergency plumbing problems, and use state-of-the-art equipment to solve your sewer problems quickly and efficiently. Since 1987, we’ve been proudly serving Santa Cruz, Monterey and San Benito Counties with expert plumbing repair and service. Give us a call at (831) 394-7077 for any plumbing repair issues, or schedule service online. We look forward to earning your trust and becoming your go-to plumber. All plumbing repair work is 100% guaranteed, and we’re available 24/7 for plumbing emergencies. Our plumbers use a combination of experience and technology to quickly and efficiently repair all types of sewer line problems.